There is a huge parking lot mostly to accommodate all the boat trailers. There is a dock and a ramp for boat launching. 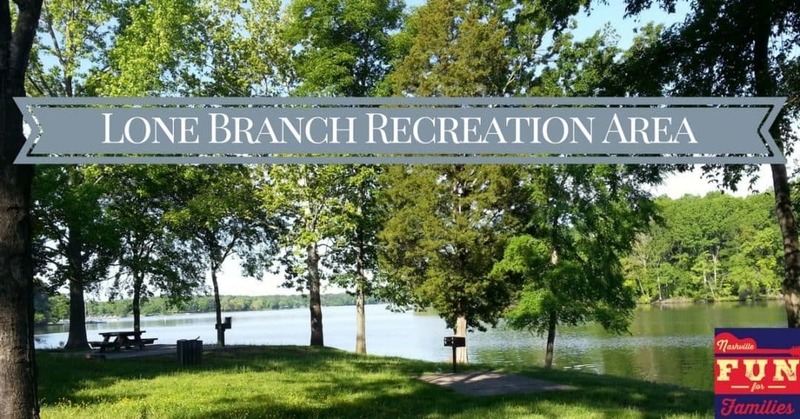 Lone Branch features two covered picnic shelters. The first is a smaller one right near the parking lot. It has three picnic tables and a large grill. The second one is much larger. It holds at least 6 tables and also has a grill. Both shelters can be used by anyone if they are not reserved. If you would like to rent a shelter, you can do so on the recreation.gov website. Between the two shelters is a huge area. It is grassy and 14 picnic areas are scattered throughout. Each area has a table and a grill. All of them have great views of the lake. The lake is accessible here so you can fish or wade just about anywhere. But remember swimming is discouraged due to the possible hazards. There are also lots of places where you could launch a kayak or canoe. On the opposite side, Lone Branch also features a small camping area and 6 more picnic spots. There is tons of green space for your kids to do lots of running.